Series focusing on the albums that have influenced the course of music. This edition looks at Don McLean's album American Pie, crowned by its titular overture and the song Vincent. 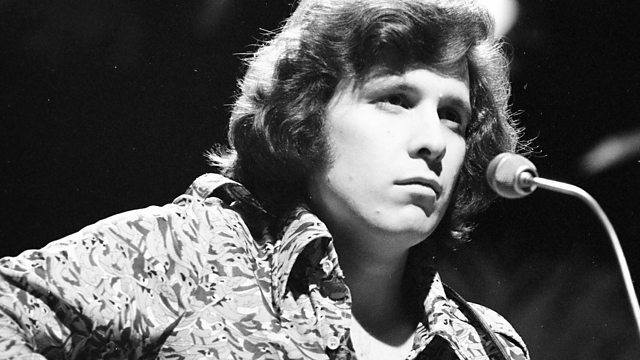 The story of Don McLean's second album American Pie. Crowned by its titular overture and the song Vincent, McLean's equally moving tribute to Van Gogh, American Pie is a classic of the folk-rock genre, earning its place alongside Carole King's Tapestry, Joni Mitchell's Blue and Neil Young's After The Goldrush as one of the landmark singer-songwriter LPs of 1971, a year recently celebrated in a book by award-winning journalist David Hepworth as 'rock's golden year'. Don McLean features in extensive new interviews, discussing the intricacies of his songs, the sometimes fraught recording process, and the album's legacy. Forty-five years after its release, there has never been another album quite like American Pie. While a product of its era pinpointing a precise moment of cultural change in the shattered hopes of baby boomers, its impact continues to reverberate down the years with a poignancy and relevance that hasn't diminished. The questions it raises about its country's past, present and future are as much a part of our cultural dialogue in Trump's 2017 as they were in Nixon's 1971. "I had most of the album written without American Pie," explains McLean. "But I wasn't happy with that. I knew it wasn't finished. I had more to say. I had this this really big song I needed to get out." Interviewees include producer Ed Freeman and musician Jake Bugg, whose musical path was initiated when hearing Vincent for the first time on the TV, and a poignant archive performance of George Michael performing The Grave.